Our Dental Assisting Program offers students extensive training which will allow them to develop the skills needed to perform a variety of dental office procedures and laboratory techniques as well as the knowledge associated with medical and dental terminology, anatomy & physiology, with an emphasis placed on head and neck anatomy, dental law and ethics, and patient rights. This program is offered in a hybrid training format, a combination of distance education and on-campus classes. And, with American Institute’s hybrid approach, an instructor is available to help students even when they are not on campus in person by using a learning management system that students can access online. 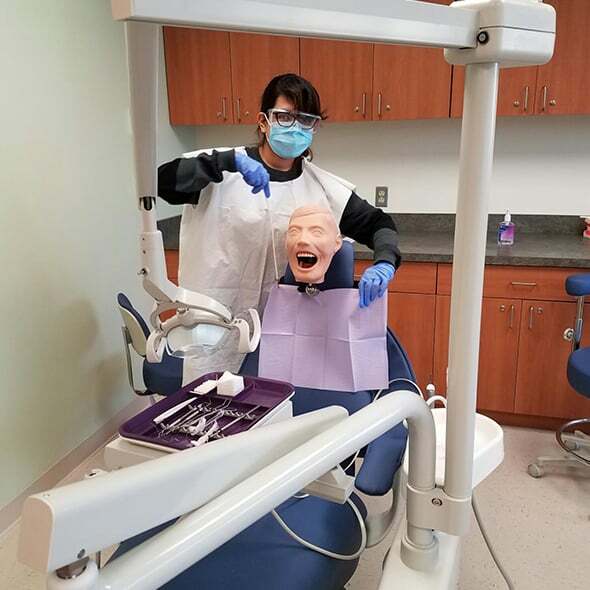 The distance education portion of the Dental Assisting program is available to students via any high-speed internet connection. Our online LMS allows students to log in for lectures, ask questions, and do homework assignments according to their own schedule. Faculty, administration and students can utilize live chats or video chats in an individual setting or with all students at once. Questions can be posted for the instructor to respond, which allows for enhanced communication – a key to the success of students in the hybrid program. Assistants who do lab tasks, such as making casts of a patient’s teeth, work under the direction of a dentist. They might prepare materials for a cast of teeth or create temporary crowns. 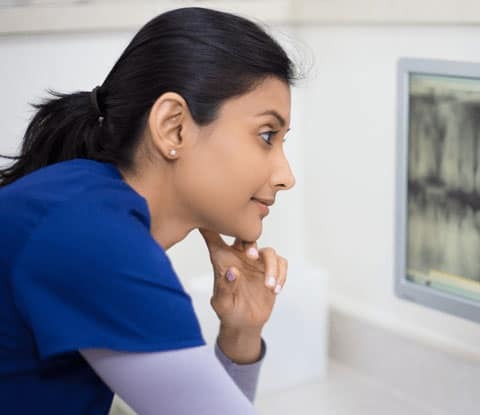 All dental assistants do tasks such as helping dentists with procedures and keeping patient records, but there are four regulated tasks that assistants may also be able to do, depending on the state where they work. Coronal polishing, which means removing soft deposits such as plaque, gives teeth a cleaner appearance. In sealant application, dental assistants paint a thin, plastic substance over teeth that seals out food particles and acid-producing bacteria to keep teeth from developing cavities. Fluoride application, in which fluoride is put directly on the teeth, is another anti-cavity measure. For topical anesthetics application, some dental assistants may be qualified to apply topical anesthetic to an area of the patient’s mouth, temporarily numbing the area. Not all states allow dental assistants to do these tasks. Each state regulates the scope of practice for dental assistants and may require them to take specific exams or meet other requirements before allowing them to do these procedures. For more information about our graduation rates, the median debt of students who completed this program, and other important information, read more here.